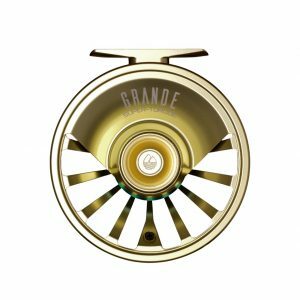 Redington has announced the forthcoming release of new products for 2019: The Grande reel, and Butter Stick and Dually fly rod series. Welcome the new heavyweight champion. The GRANE reel is a fully anodized, machined aluminum reel that features our new sealed SUPER-TORQUE carbon drag system that will KO any fish you hook. After years of field testing, we bulked up the GRANDE with an oversized palming rim, increased backing capacity, and designed an easy to locate handle and drag knob so you can make quick adjustments in the heat of the battle. Never stand down from a fight, regardless of the opponent. Chase fish that run far and fast with this all-new reel with a seriously beefy drag package and fully machined frame and spool. Sometimes we need to remind ourselves to slow it down and just enjoy being out on the water. The new BUTTER STICK does just that. Built using T-Glass construction on our Heritage Taper, the BUTTER STICK is a slow action glass rod that will delicately present a fly even in the tightest of places. The retro cosmetics and slower action will make every day feel like throwback Thursday. 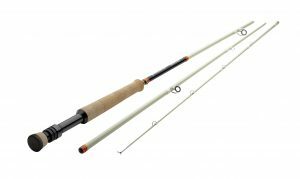 Enjoy small streams and small fish all over again, with this redesigned fiberglass rod – now available in more weights and in retro colors. The original DUALLY proved that two hands are better than one, so the progression of this two-handed rod was simple. We lightened the overall rod weight, improved tip stability, and completely updated the handle, while still coming in at less than $300. Whether you’re wanting to be more efficient on your local trout stream or are in search of wild steelhead, the new DUALLY features rod weights and lengths to cover bodies of water from the Skeena to the MO and everything in between. With improved tip stability, lighter weights and an updated handle and action, these two-handed rods are just what you’ve been waiting for.